Educating community groups, non-health care providers, who deal with the elderly – eldercare lawyers, clergy, bankers, salon operators, financial planners, service providers (plumbers, electricians, restaurants, etc. ), utility workers, rescue and fire teams, retired groups, Employee Assistance Programs (EAP), etc. – are critical in our current environment. Many times the above individuals are the first to realize what is happening with a client or customer. They may see them in the neighborhood, at the grocery store or pharmacy, in church or at temple. Some service providers will actually be in the home setting and realize there is a problem that needs to be addressed. People in the broader community need to become more aware of what to look for and how to communicate effectively with their customers or clients who are dementia patients. Alzheimer’s disease develops over an extended period of time. Therefore, some individuals could be in their home setting for 3-5 years or more before someone is truly aware of what is happening. Many spouses also “cover” for their loved one, not wanting to let the family know what is taking place or hoping, beyond hope, that what they are seeing isn’t Alzheimer’s. DCPutnam Consulting is available to businesses, corporations, unions, religious organizations, police, fire & rescue departments, utility companies and EAPs to broaden their employees understanding and knowledge of dementia through presentations in the work place. Possessing effective observation and communication skills is critical when interacting with dementia patients. Presentations at monthly meetings or in the work place during lunch or over coffee are perfect times to share this kind of information. 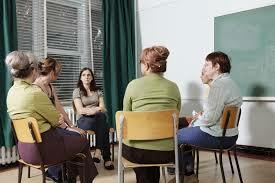 I am currently facilitating 11 monthly support groups located in Rhode Island and Massachusetts. Support groups provide an opportunity for caregivers to listen, learn and share as they support each other through difficult times. Support group members learn a lot through this process, but they cry a little and laugh a little as well. PLEASE COME JOIN US… I KNOW YOU WILL FIND IT TO BE HELPFUL. DCPutnam Consulting training and presentation fees are negotiable, depending on content, number of trainings and the length of each session. There is no charge to participate in any of the support groups.
" I greatly benefited from your knowledge and support. I really appreciate all that you shared with the Smithfield group. Best wishes and thank you. You will be missed." Logo Design by Kristin Ghansah and Site Design by Erica Mueller Designs. Welcome Video Production: CB Group.